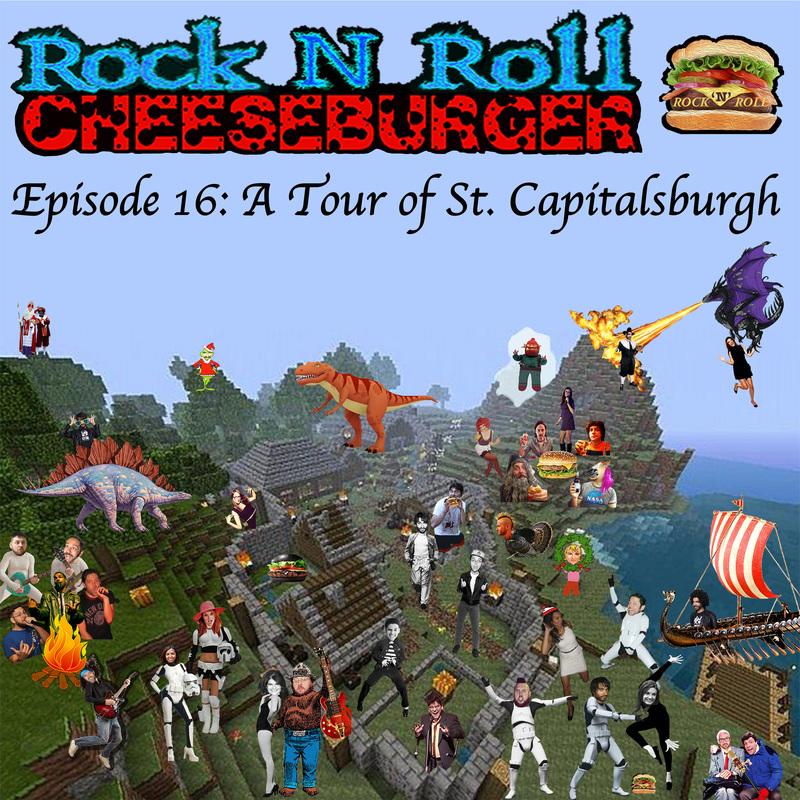 EPISODE 16 A TOUR OF ST. CAPITALSBURGH! Dan & Kyle take a stroll through our fictional burgerville of St. Capitalsburgh. 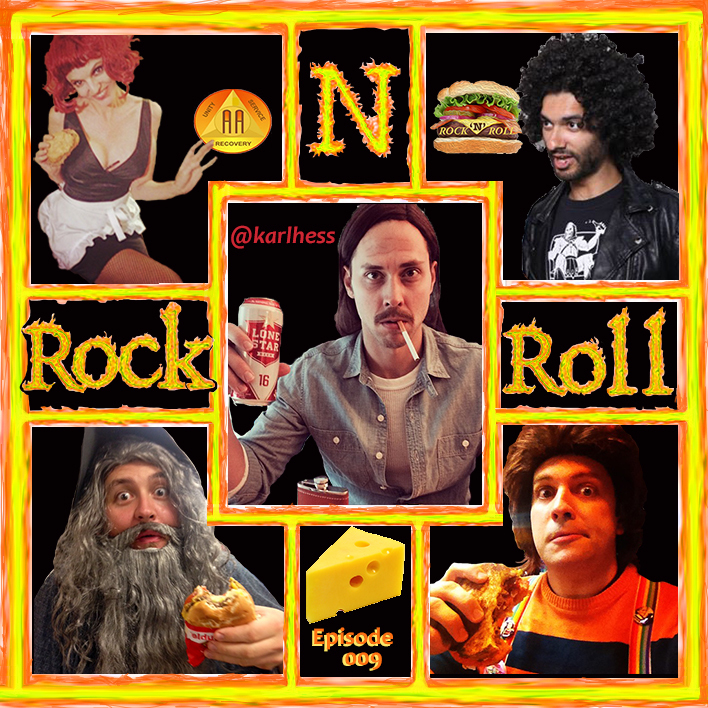 Rock N Roll Cheeseburger Episode 16! Dan and Kyle take a proverbial stroll through Rock N Roll Cheeseburger’s beloved fictional home town of “St. Capitalsburgh” in our 2014 review clip-show. Get a listen to our commercial parodies for a zombie-proof cemetery, a paid research study for Tyrannosaurus Rexes, and various mom & pop drug fronts! And we feature our original comedy sketches, including a game show with Carrot Top & a goat, a town hall debate between a cyborg & a warlock, and the entire opening three chapters of our noir mini-comedy-drama “Bilby Sullivan, Junior Detective”! Since this episode is a clip-show of our first 15 shows, we hear super totes hilariballs character voices from RRCB pals & patriots Tommy Bechtold, Jared Campbell, Karl Hess, Celia Finkelstein, Valerie Tosi, Peyton Clarkson, Jackie Monahan, and of course Kyle Duncan Graham, Dan Lawler, and Tikku Sircar.